Vaggaro consists of a patented foldable frame with three different seating modules; a cradle for the baby’s first months, a bouncer and a high chair. 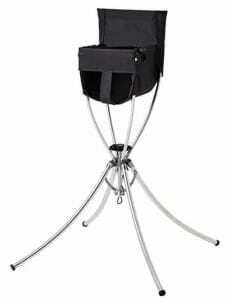 Adjustable height and quick folding technology allows you to use your furniture wherever you are. Vaggaro simplifies life for parents – while the little ones have a safe and comfortable baby furniture to feel at home in, no matter where it stands. More about our COMBO offering here! 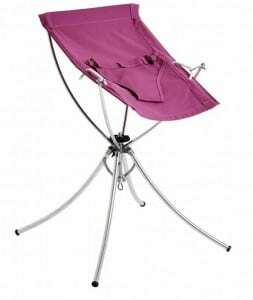 Vaggaro Cradle is a snug and soft cradle in fabric in which your newborn baby will be resting safely and comfortable the first months of life. In Vaggaro’s ergonomic Bouncer your baby can sit and swing comfortably both on floor level and the height of a sofa or dining table, depending on what the family is doing. 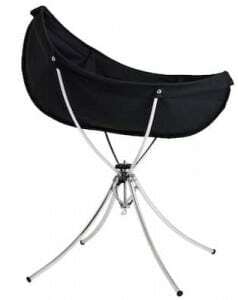 In Vaggaro high chair your baby sits safely and comfortably at the dining table. With its unique quick-fold mechanism, it can easily be packed into a bag when the family is going out.